SonRise offers Celebrate Recovery as an outreach ministry to the community. The Celebrate Recovery ministry is a Christ-centered program that helps people overcome life’s hurts, habits and hang-ups. The program helps people deal with issues of abuse, addiction, anger, dependencies, divorce, and more through Biblically-based principles and 12 step process. The three main parts of Celebrate Recovery are worship, small groups and step studies. Through sharing our experiences, strengths, and hopes with one another, we have the opportunity to begin their road to recovery, to grow spiritually in Jesus Christ and to experience peace, serenity and joy in our lives. 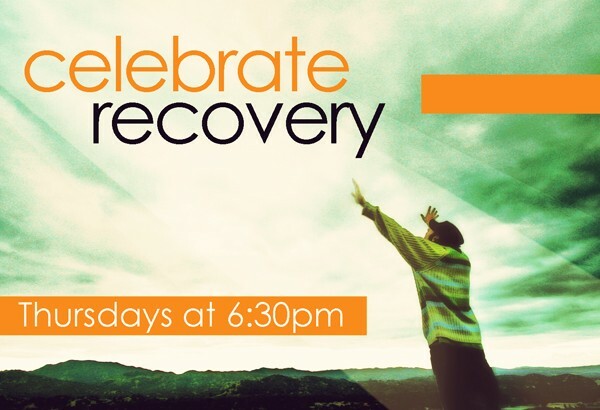 Celebrate Recovery is on Thursday nights with a meal being offered from 6:00 to 6:30, worship with a lesson or testimony from 6:30 to 7:30 and small groups from 7:30 to 8:30. Step Studies are offered on a different night of the week. Childcare is provided.